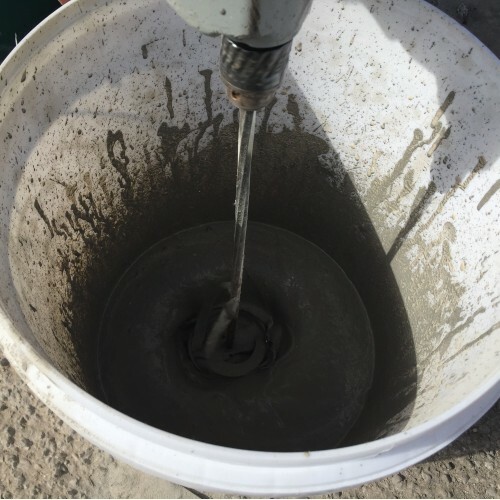 Easily mixed and applied, simply add 3 parts powder to 1 part water (3-2-1) and pour the material into the hole. It is suitable for internal and external applications and ready for vehicle traffic in just 2 hours! The fibre reinforced formula is stronger than standard concrete. The substrate should be clean and free from any sitting water. Heavily trafficked areas should ideally have edges cut to 10mm minimum. Remove the bag of powder from the container. The container makes an ideal mixing vessel. FastPatch 3-2-1 is a simple 3 part powder to 1 part water mix. Always add the powder to the water (not the other way around) to make mixing easier and achieve a pourable mix. 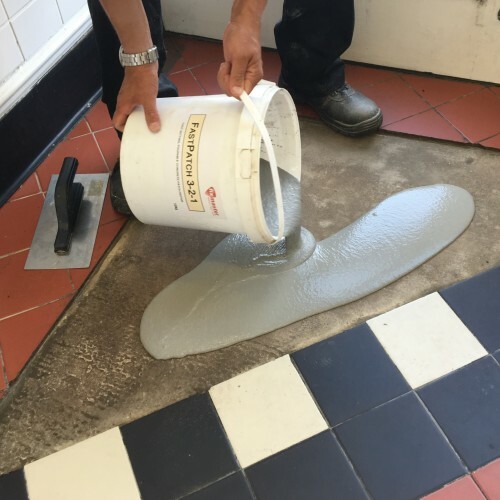 Due to the short application time, mix the product as close to the repair as possible, small quantities can be mixed by hand with a wide bladed tool. 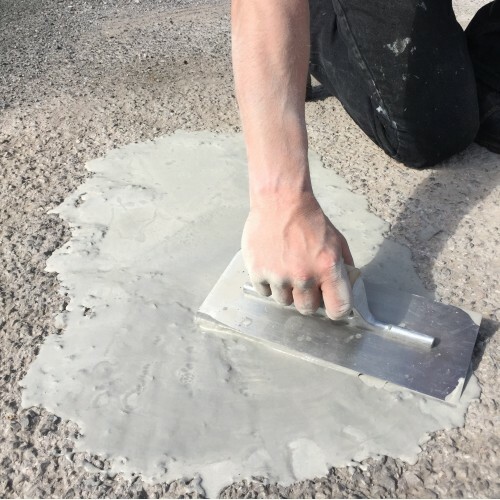 Large quantities are best mixed with an electric drill and mixing blade, always ensure you incorporate all the product from around the edges of the mixing container. Use immediately as the product will start to harden quite quickly. Application tools can be washed off with clean water straight after use. Remaining powder can be stored in a dry place and used at a later date. 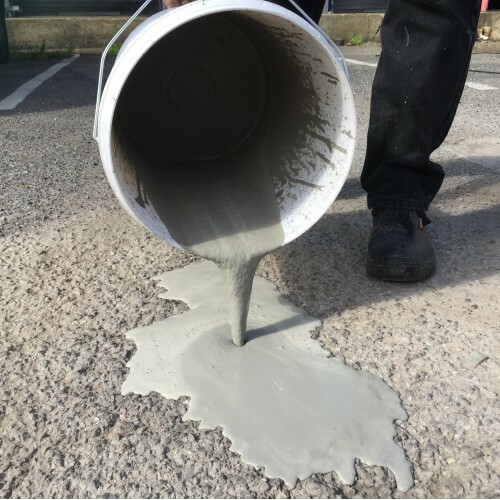 Once a smooth and lump free consistency is achieved, simply pour the FastPatch 3-2-1 into the hole. It will flow freely and require minimal trowelling. Application depths are between 5mm-100mm, although lightly trafficked areas can be feather edged. 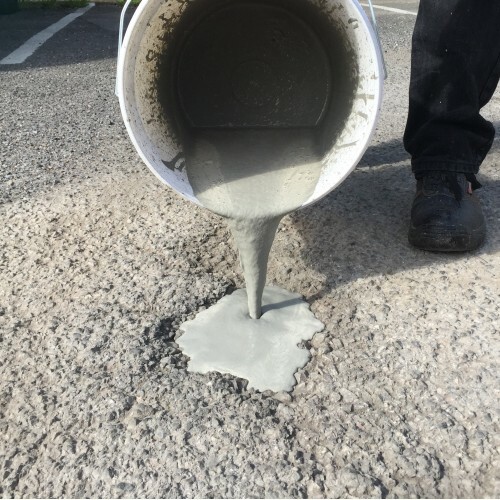 A durable bitumen based material for fast and effective repairs to exterior asphalt, tarmac and conc..
For finishing and smoothing repairs. .. Fits an electric drill for the easy mixing of 2 part epoxy resin paints ..